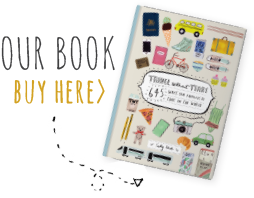 My husband and I had never done the whole Eurail thing so deciding to do Italy by train pretty much determined our city-based itinerary rather than a more mixed itinerary that we may have achieved by car. The trains were fantastic – easy to book online and we were able to choose specific seats on specific trains. And then when we got there they were reliable, very fast, clean and on time! We wouldn’t hesitate to recommend them. The choice of main cities wasn’t very hard. Rome – of course – but we split it into two stints which worked well. 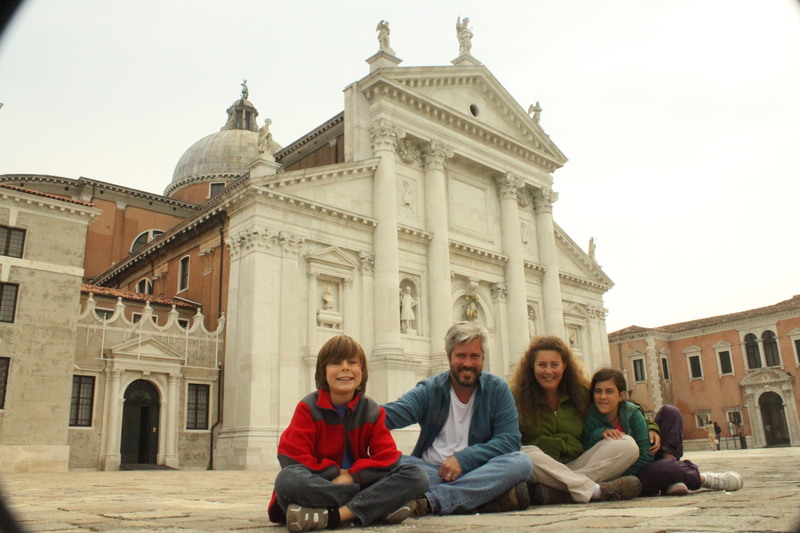 Our first five days we did ‘old Rome’ based near the Campo Di Fiori. The second five day stint we did ‘Catholic Rome’ and stayed up near the Vatican. With the exception of one afternoon where we had a picnic to celebrate the end of our trip we were busy the whole time so we don’t know how people do Rome in three days. Florence had always been on my bucket list so that was a must see as well. We loved the cathedral and explored it fully, even climbing up between the skins of the dome to look down on the city from above. Did I mention the shopping? 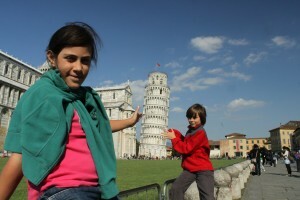 We took day trips out to Lucca (beautiful and on the list for more time next visit) and Pisa. Venice was the kids’ prime candidate – with a strong parental vote it had to be on the itinerary. How surreal was it to walk out of the train station into this watery, historic, mysterious, and totally magical city. Great tip for seeing the city from the water is to buy a 12-hour vaporetto ticket and use it to its full. We set off about 9am, went around the whole city twice, then out to Murano to see the coloured glass and the Lido to see the ‘beach’. After dropping home for a quick dinner we hopped back on to cruise down the Grand Canal after dark – oh wow! 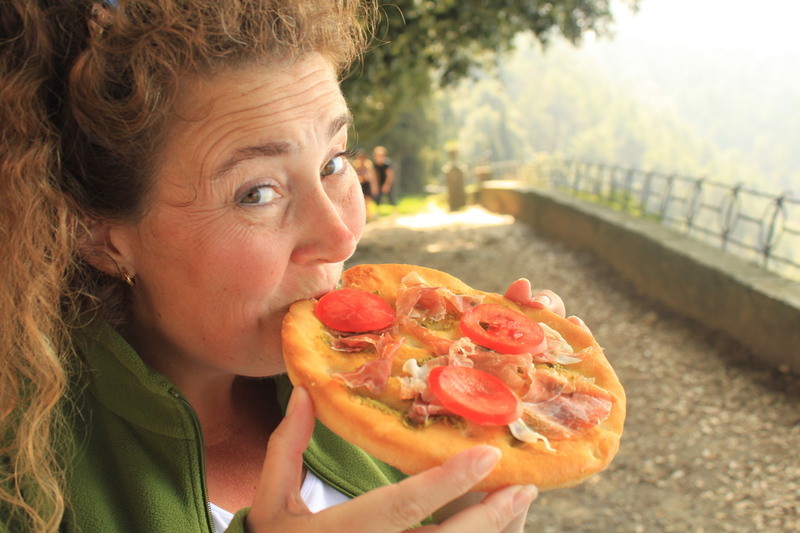 Vernazza and the Cinque Terre were a special choice and so rewarding – see below. We couldn’t go to Italy with children without taking them to the place where Spaghetti Bolognese was invented so Bologna ended up on the itinerary too. The other food here is also amazing plus we enjoyed exploring the old university museums and climbing the crooked towers. My husband really wanted to see Pompeii and Herculaneum and following a strong recommendation from my parents regarding Sorrento (and a bit of strong discouragement from others regarding Naples) that was the spot we chose to base ourselves to explore the Amalfi Coast. An exhilarating bus trip down to Amalfi and Positano and gorgeous boat trip back was a great day. And climbing Mt Vesuvius was a memorable experience. Well it is a little dfficult to pick something in particular when it is Italy you are talking about. If I asked the kids I think they would say the food – we ate gelato every day for six weeks! My husband and I also loved the food (and the wine, which was also consumed on a daily basis – when in Rome) but the culture and history were undeniably amazing. We came away particularly appreciating all the rich folk of the Renaissance for their investment in the artists and craftspeople of the time. When we first started travelling with our children we discovered very quickly that the more homely the accommodation the more confortable they feel about the whole experience. Give them a kitchen, a lounge, bedrooms (preferably one each – but at least separate beds) and of course a TV, and they feel at home. I have also found that self-contained accommodation is so much more cost effective. Dollar for dollar you get the most amazing value, more space and loads more amenities (eg laundry, balconies). Another bonus is living in amongst the locals, meeting the owners of your accommodation, shopping at the markets and simply sitting with a wine each evening watching the neighbourhood activities, learning how life is lived on the other side of the world. It is simply so much richer an experience than seeing the inside of another hotel. Vernazza: Apartment up the top of town – lots of stairs but roof top terrace with views down the Cinque Terre. With regard to all your travel arrangements what worked particularly well for your family’s situation? Our daughter has dietary restrictions so eating out is sometimes a challenge. Having accommodation with kitchen facilities means that we can cook food that is good for all of us, plus save a lot of money. We love wandering through the markets, dealing with the local shop owners, the challenge of the retail experience in a different country – particularly when there is a language barrier. In this case we soon learnt that Buon giorno, Grazie, Ciao and Ci (plus holding up 4 or 8 fingers as appropriate) got us through most exchanges. We eat really well which is essential to a happy holiday and don’t feel we are missing out on local cuisne because we are self catering. Saying that we do treat ourselves to a meal out on the last night in each place we visit. During our stay we look at what is available in the area, inspecting menus, checking out the vibe and then collaborating on the final decision. We find having that meal out on the last night works really well – means the kitchen is clean and allows a quick get away in the morning. Many, but not all, places we visited were very crowded. Though not being in the middle of high season (we visited in April/May) there were still a lot of tourists in the main centres. The one thing we noticed the most were groups of high school students who must have been on end of year school trips. We just got the feeling they really didn’t want to be there and were distinctly more focussed on each other and their screens than the historic and cultural wonder around them. The challenge with the crowds was keeping together as a family (ie. not losing our children) and being able to enjoy the sites without having to push our way through the disinterested throng.